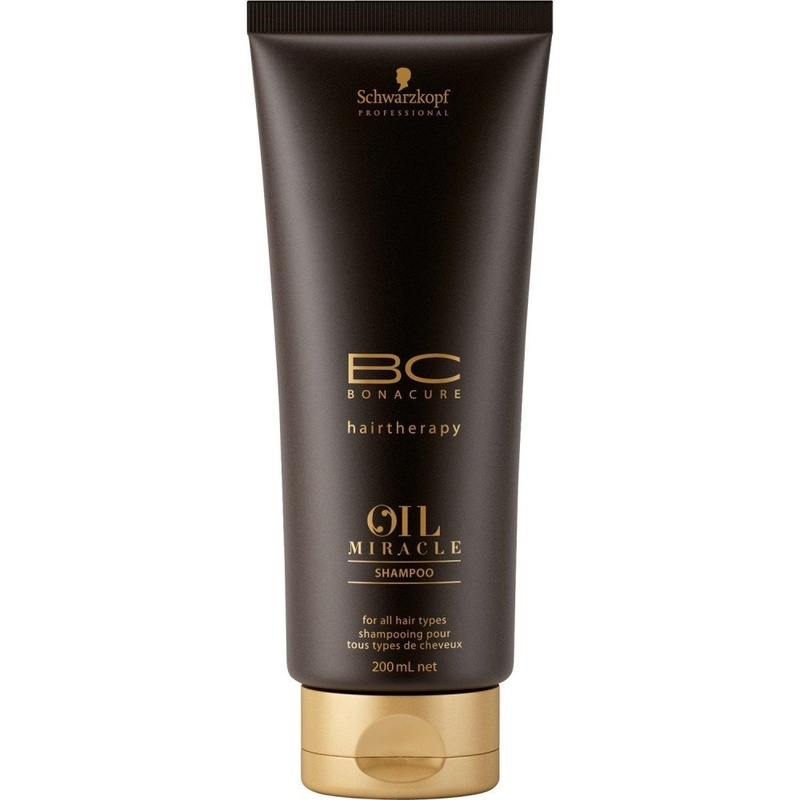 Schwarzkopf BC Oil Miracle Shampoo gently cleanses your hair without leaving it feeling heavy, even on fine hair. Contains Argan Oil and Pro Vitamin B5, which leaves your hair feeling soft and shiny and Amino Cell Rebuild which repairs your hair structure. Directions: Apply to wet hair and massage for 2-3 minutes. Rinse and repeat if necessary. Use with desired BC Oil Miracle products.